The crux or arbitration represents a medium for which two or more parties can attempt to resolve a dispute without the inclusion of a formal court system. In an arbitration hearing, the parties agree to formally include a third party to act as their arbitrator. This individual, upon assuming the role of arbitrator, will act as judge and jury to resolve the parties’ problems. The arbitrator will evaluate—and subsequently render a decision-- after the parties present their facts, relevant documents and side of the story. Typically, there are not set regulation as to how an arbitration hearing can be conducted; the hearings are left to the agreement of the parties. To expedite the process; however, the parties involved may agree to abide by the rules of an established entity or organization (such as the American Arbitration Association). This maneuver is not mandated; however, it provides the arbitration hearing with a formalized structure. An individual can engage in a binding or non-binding arbitration hearing. A binding arbitration typically means that the winning party (the individual or entity whom the arbitrator sides with) can take the settlement or arbitration award to a court of law and enforce the judgment if the losing party refuses to comply with the terms of the decision. In turn, a non-binding arbitration refers to a situation where the parties involved agree use arbitration as a forum for resolution, but neither party is bound to comply with the rendered decision. If you decide that this alternative dispute resolution process is more desirable than having your case heard in a formal court setting, the inclusion of an arbitration lawyer is not necessary, but suggested. Arbitration lawyers are legal professionals who represent individuals involved in an arbitration hearing. The majority of arbitration lawyers have advanced knowledge in divorce/family or business law—arbitration cases will attempt to resolve civil matters. Arbitration lawyers use this knowledge to negotiate with the parties involved; an arbitration lawyer is not set-out to definitively prove liability or fault, but merely responsible stating his or her client’s claim for a favorable decision. Before hiring an arbitration lawyer, you must evaluate the cost and benefits of legal aid as it pertains to the rules and process of an arbitration proceeding. Why would I choose an Arbitration Lawyer? The primary benefit of hiring an arbitration lawyer--and subsequently partaking in arbitration--is that the process serves as a forum to resolve disputes outside of the formal court system. This is to say that, arbitration will not be held-down by the legal red-tape that is common in the judicial system. Furthermore, arbitration is typically cheaper than a formal court hearing. 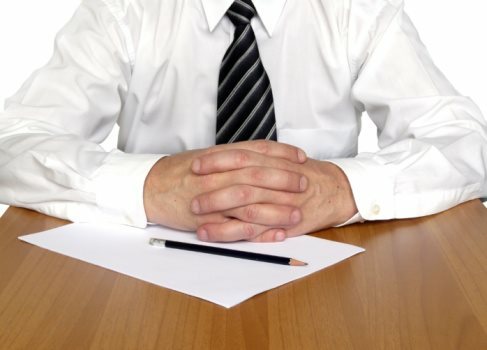 Arbitration lawyers can expedite a resolution; the alternative dispute resolution process is quick and easy, especially when compared to a formal lawsuit. The expedited nature of arbitration revolves around the rules (or lack thereof) of the forum—arbitration does not adhere to the stringent rules of evidence and procedure is typically relaxed in these proceedings. As a result of this laxness, arbitration hearings allow the parties to represent themselves without the direct need of an arbitration lawyer. Arbitration lawyers will simply help you construct a case or develop an argument to secure a settlement. Arbitration lawyers are experienced in streamlining the proceeding but will not greatly bolster the ability to secure a favorable ruling. The reason for this limited impact is found in the casualness of the hearing and the role of the arbitrator. The arbitrator serves as the judge and jury of the hearing; the individual is responsible for opening the lines of communication between the two parties. As a result of these functions, the individual serves as the be-all end-all legal source. These features somewhat diminish the need of an arbitration lawyer. Arbitration hearings naturally flow; the forum enables the disputing parties to engage in conversation with one another. If the conversation turns acrimonious, the arbiter will step-in and mediate. If you are involved in an arbitration preceding that revolves around complex issues or exorbitant sums of money or property it would be wise to hire an arbitration lawyer. Although these legal professionals are not required in an arbitration meeting, they can serve a benefit in regards to elucidating the legal issues at hand.